Siri can be stupid at times, right? Well, you may not know how to deal with her. 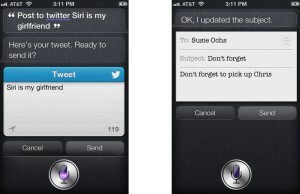 We present to you some tips and hints to make the most out of Siri. Siri doesn’t always get it. Sometimes it’s ambient noise, and other times, it’s a mystery. To correct her, swipe down to reveal your initial command, and use the “Tap to edit” option to make a correction. When you’re done, Siri will come up with a new answer, and she’ll better understand you in the future. Even though Siri isn’t quite as human as the personal assistant from the movie “Her,” she’s capable of understanding very human speak. The next time you say a command, don’t worry so much about it sounding perfect or being exact — Siri will figure it out. Even though her assertiveness suggests otherwise, the commands you give Siri aren’t set in stone. Siri can be so helpful that it’s easy to have a long conversation with the assistant. To recall an answer she gave you earlier in the conversation, just swipe down to scroll up. If Siri mispronounces your name — or anyone else’s — there’s an easy way to correct that. At any point just say, “That’s not how you pronounce [name]” and Siri will take you through a process of correcting it. Siri can be quick to interrupt, especially if you’re in the middle of a thought. To prevent her from cutting you off, continue holding down the mic button (or home button) until you complete your command. Can’t decide? Let Siri handle it for you. Just say, “Flip a coin,” and Siri will randomly populate heads or tails. And, she’s so authentic that sometimes the coin falls in the crack of her virtual sidewalk. This is especially useful if you want to see Google’s search cards for things like sports, nutritional information, flights, and language translations. Need to quickly find an e-mail or note? Siri can handle it. Just say “Find my note about [word]” and it’ll appear. 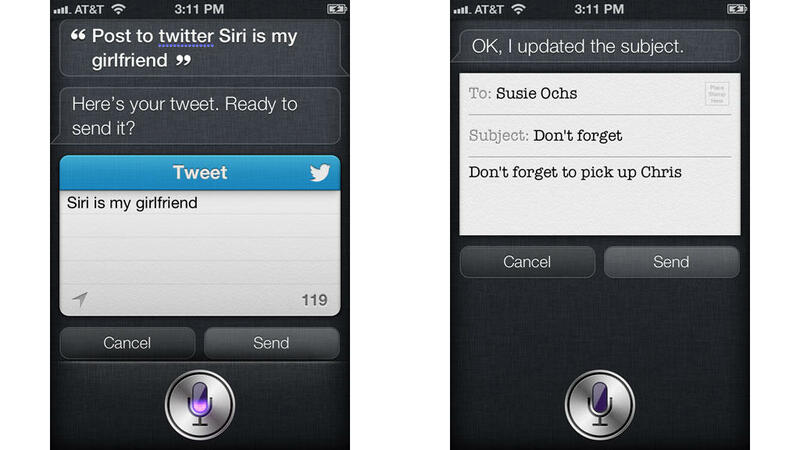 To be able to use commands like “Text my sister” or “E-mail my manager,” you have to tell Siri who these people are. You can create any kind of relationship — even unconventional ones like “lifesaver” — by telling Siri “[Person’s name] is my [relationship]”. Don’t be afraid to talk on and on about your upcoming appointment — Siri can handle it. In this example, Siri noted the name of the event, the time, its location, and the invitee. To top it off, the guest even received a calendar invite. The less you have to tap around your phone for mundane tasks, the better. The next time you have to toggle a setting, just ask Siri to do it.